Product prices and availability are accurate as of 2019-04-22 12:09:45 UTC and are subject to change. Any price and availability information displayed on http://www.amazon.com/ at the time of purchase will apply to the purchase of this product. If you dream of packing up your four-wheeler, your snow boots and camera, and setting off to explore the wilderness, A Lap Around Alaska will give you a rare glimpse into the Land of the Midnight Sun, of moose, bear, and bald eagles, of monumental glaciers and scenery so staggering it brings tears to your eyes. 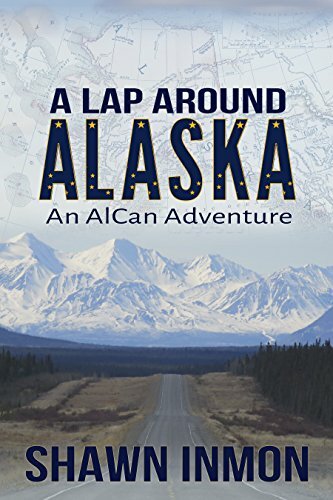 Find out what it's really like to cross 1,400 miles of the Alaskan Highway and travel some of the loneliest and most spectacular parts of America and Canada, all without leaving your easy chair. Join author Shawn Inmon and his twenty year old Subaru Outback on his epic solo road trip through British Columbia, Yukon, and Alaska. Part personal odyssey, part travel memoir, take an expedition into one of North America’s last remaining wildernesses. If you hunger for untouched beauty and want to experience the majesty of the pristine North for yourself—Shawn saved the passenger seat just for you. This book also includes two bonus memoirs of life in Alaska in the 1970s—My First Alaskan Summer and My Matanuska Summer.